If you provide ALL the necessary data we will see that it gets called or faxed in to your pharmacy or long term drug supply company. We can also mail the prescription(s) to your home address if you prefer. You will NOT be contacted unless there is an issue with your request. These will be filled within 24 hours of your request during regular office hours. Please do not wait until you have run out of your prescriptions. Essential info. Needed as there are patients with the same name. Needed if we have to mail you the prescriptions. 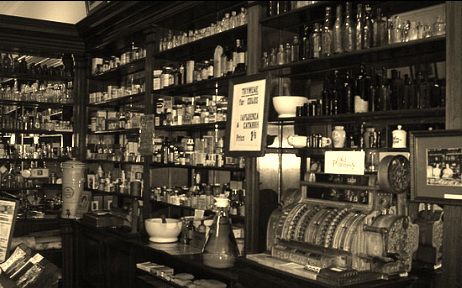 Make certain that this is the CORRECT tel # for the actual pharmacy. We do NOT call these long term drug companies. We ONLY fax info to them. Please be certain that the fax # is correct. They will need to identify you as one of their customers, so be certain you give us the correct ID number. THIS IS VERY IMPORTANT: Unless there is a problem we will NOT call to confirm that this was done. Please be certain to supply ALL of the following information for EACH medication: (1) Name of medication (2) Strength or dose (3) Frequency of the dose or how you take the medication (4) Number of pills requested : 30, 60 or 90 day supply (5) Number of refills requested. Submit your prescription request. Press button once. Always clearly pronounce or spell the name of the medication, the strength, instructions and the amount and number of refills needed. Always leave your pharmacy telephone number. 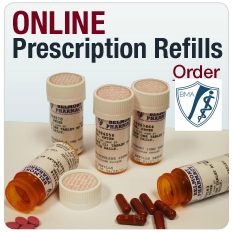 Prescription refill requests will be authorized WITHIN 48 hours, so try not to wait until you are out of your medication. Please check with your pharmacy before you pick up the prescription to make certain it has been called in. One of the most frustrating problems we have to deal with is the need for "prior authorizations" or "overrides" from the various insurance companies. Before a brand name drug can be prescribed you have to have been tried on a generic. It is becoming a common practice for the companies to insist on a generic drug even if the patient has been successfully managed on a brand name medication for some time. These are not our rules. They are the rules of YOUR insurance company. Please do not take out your frustration on the office staff. Their jobs are tough enough. Covering physicians CANNOT authorize prescriptions for narcotics. If you do expect a non-narcotic medication to be called in for you by a covering physician after regular hours please have your pharmacy number available and be certain that the pharmacy is open. I strongly recommend that you keep a CURRENT list of your medications (with strengths and instructions) in your wallet or purse at ALL times, so as to avoid any confusion.We can give you a card specifically printed for this.....ask at your next visit. You must inform me about any drug allergies or side effects you've experienced. If you are experiencing side effects from a prescribed medication or you cannot afford a particular medication, please bring this to my attention BEFORE you decide to stop it. Is it OK to substitute a less-expensive generic drug for the name brand? Will it achieve the same effect? What is the dose of the medicine? Are there foods, drinks, other medicines, or activities I should avoid while taking this drug? What are the possible side effects? What should I do if they occur? How many refills of this prescription can I get? Is there written information I can take home? Keep a CURRENT list of your medications (with strengths and instructions) in your wallet or purse at ALL times. A new push is under way to make prescription drug information clearer and stem the rise in emergency room visits and hospitalizations resulting from patients incorrectly taking their medicine. As many as three in four Americans say they don't take prescription medicine as directed, according to the National Community Pharmacists Association. Stephen Anzaldi Professor Michael Wolf, who researches drug labeling, holds up a seemingly contradictory warning on a prescription for Nexium given to his brother by a pharmacy in Washington, D.C. The Food and Drug Administration is planning to test single-page consumer information sheets that would replace the multi-page package inserts and medication guides widely used in retail pharmacies. And the U.S. Pharmacopeial Convention, which sets quality standards enforced by the FDA for the quality, strength and purity of medicines, is developing a new national standard for prescription labels, which can vary widely from pharmacy to pharmacy and befuddle consumers. The standards, if adopted, would require clear instructions on dose and timing and state in simple terms the purpose of the drug—such as "for high blood pressure"—unless the patient prefers that it not appear. Doctors and pharmacists are also being encouraged to counsel patients more effectively about their medications. About 100 industry and nonprofit groups are participating in a national awareness campaign about the importance of taking medication as directed, to be launched in May by the National Consumers League. The campaign includes a website for health professionals and a separate website where consumers can download tools such as work sheets to manage their medications. The group says more than a third of medication-related hospital admissions are linked to poor medication adherence. With the growing complexity of medication regimens, especially for the elderly and those with multiple, chronic conditions, even highly educated consumers can fail to take their medications correctly, says Karen Weiss, program director of the FDA's Safe Use Initiative. "We need to create better awareness about the gamut of harm that can occur." Nearly 1.9 million people were treated in hospitals for illnesses and injuries from taking medicines, a 52% increase from 2004 to 2008. Another 838,000 people were treated and released from emergency rooms due to harm from medications in 2008. Almost 36% of treat-and-release emergency room visits were patients ages 18 to 44, and 18% were elderly. Currently, consumers may receive as many as three different types of drug pamphlets with their prescriptions: package inserts written by the manufacturer and approved by the FDA, medication guides for certain classes of drugs and products required by the FDA, and consumer medical information provided by various third-party companies. However, recent studies by the FDA have shown that the information offered is not consistently understandable—and sometimes even conflicting or inaccurate. Medication mishaps often happen in the hospital, due to clinician error and unexpected allergies or reactions. According to the Agency for Healthcare Research and Quality, the number of people treated in U.S. hospitals for illnesses and injuries from taking medications jumped 52% to 1.9 million between 2004 and 2008, the latest year available, including patients admitted from the emergency room. More than half of the increase was due to corticosteroids, blood thinners, and sedatives and hypnotics. Another 838,000 patients were also treated and released from the ER with problems related to those and other medications, including painkillers, antibiotics, cardiovascular drugs, insulin and other hormones used to treat common diseases such as asthma, arthritis and ulcerative colitis. FDA officials say inadvertent errors made by patients who misunderstand information are causing significant harm. One reason cited is low literacy skills. A study in 2006 showed that of 70% of patients with low literacy who could correctly state the instructions "take two tablets by mouth twice daily," only 34% could then demonstrate the number to be taken daily. Painkillers: Taking with alcohol or other painkillers or sedatives can cause breathing problems or death. Over-the-counter products containing acetaminophen can injure the liver if taken with opioid-acetaminophen combination drugs. Antibiotics: Can cause allergic reaction or fail to fight infection; sun exposure while taking can cause extreme burn. Corticosteroids (for arthritis, asthma, ulcerative colitis, immunosupression in transplant patients): Can worsen high blood pressure, diabetes, bloodsugar problems or ulcers. Suddenly stopping use can cause withdrawal symptoms. Antidepressants/ tranquilizers: Can lead to suicidal actions, panic attacks. Blood-pressure drugs: Insufficient dose can cause spike in blood pressure; overdose can cause dizziness, chest pain, shortness of breath, coma or an unusually slow or fast heartbeat; stopping use too quickly can cause serious heart problems. Cancer drugs: Can exacerbate fatigue, confusion. Can cause fever, shortness of breath, nausea and vomiting, diarrhea, overdose can cause death. Blood thinners: Too high a dose can cause excessive bleeding, bruising; too low a dose can cause blood clots. Interactions with many medications can reduce effectiveness or cause bleeding. Michael Wolf, an associate professor at Northwestern University's Feinberg School of Medicine who serves on an FDA risk-communication advisory panel, says in recent studies, more than half of adults misunderstood one or more common prescription warnings and precautions. In one study Dr. Wolf and colleagues found that patients better understood simple, explicit language on warning labels—like "use only on your skin" instead of "for external use only"—and those with lower literacy skills also benefited from picture icons, such as a sun with a black bar across with words, "limit your time in the sun." In another study, his team filled 100 prescriptions across the country and found that important warnings often were not included on labels. For example, only half the time did prescription labels for Fosamax, an osteoporosis drug, carry the warning that patients should not lie down for 30 minutes after taking the drug; doing so can lead to irritation and erosion of the lining of the esophagus. The FDA is working with the Brookings Institution on the one-page guides that could eventually replace other materials, says Denise Hinton, a senior program manager with the FDA. A pilot test is awaiting funding from the Office of Management and Budget. It could take five to six years for a final rule to go into effect. There is some concern that a one-page summary printed on only one side isn't adequate, especially for more complex drugs. The Institute for Safe Medication Practices (ISMP), a nonprofit safety group that investigates medication errors, is working with the Agency for Healthcare Research and Quality on a series of medication brochures printed on two sides of a single page for medications with the potential to cause the most harm, such as the cancer drug methotrexate, which has caused deaths when mistakenly taken daily instead of once or twice a week. ISMP President Michael Cohen says the free brochures will be tested in pharmacies this year. 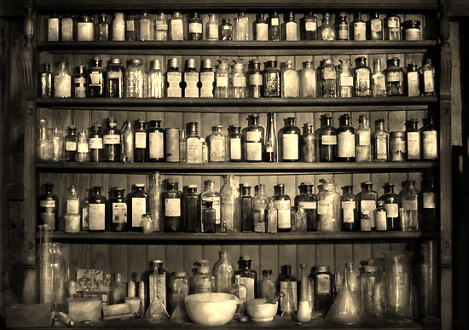 The American Society of Health-System Pharmacists, which creates medication instructions used by the federal National Library of Medicine, cautions that it will be difficult to boil down instructions to a single page without compromising patient safety, says Gerald McEvoy, assistant vice president of the group. Kaiser Permanente, the large managed-care organization, has started a training program for pharmacists that includes confirming the directions for use and stressing the importance of taking medication as prescribed. "As reluctant as many pharmacists and consumers are to take the extra time, it is worth one last extra check to make sure nothing will go wrong," says Michael Negrete, chief executive of the Pharmacy Foundation of California. Dr. Jon Duke of Indiana University was trying to figure out why his patient’s blood platelets were abnormal. Could it be a side effect of one of the dozen drugs the man was taking, a number that is not uncommon among elderly people? He began reading the label of each and every drug. “I was just overwhelmed,” Dr. Duke said. The lists of possible adverse reactions went on and on. Now he knows why. In a new paper in the Archives of Internal Medicine, Dr. Duke and two colleagues report that the average drug label lists 70 possible side effects and some drugs list more than 500. “This was beyond even what I’d expected,” he said. For anyone who has ever had to watch an entire Flomax commercial, the listing of a drug’s side effects is almost a joke. But the question is, why does the list continue to grow? But, Dr. Duke found, instead of decreasing in the years after the agency issued guidelines, the average number of side effects rose to 94, as compared to 67 for those whose labels predated the new format. Some potential complications are weird, like “compulsive gambling.” Others, like “nausea” are so common — it’s listed on 75 percent of drug labels — that they almost seem like a universal issue. Some were adverse reactions that showed up in clinical trials before a drug was marketed. Others were conditions patients reported when they were taking the drugs that may — or may not — have been caused by the drugs. Often there is no way to know why or how a side effect got reported. Listing every inkling of an adverse reaction can help drug companies in lawsuits, Dr. Duke said. If someone sues about a side effect that is listed in the drug’s package insert, the company can say patients had been warned. The Pharmaceutical Research and Manufacturers Association says the companies are just complying with the F.D.A.’s requirement that they reveal all of a drug’s risks, “even if a clear causal connection between the medicine and the observed adverse event cannot be fully established,” a spokesperson for the group wrote in an e-mail. But, said Dr. Christine Cheng, a doctor of pharmacy at the University of California in San Francisco, what is happening is a case of “information overload.” Dr. Cheng wrote an invited commentary to accompany Dr. Duke’s paper. And the F.D.A., in an e-mail, said “extensive lists of rare and minor adverse events for which there are no data to support a causal relationship” are not useful. Jim Murrell, a 54-year-old telecommunications consultant who lives in the Atlanta suburbs, says he wants to know all about adverse drug reactions but he has decided the labels are not helpful; he looks for better sources on the Internet. “It makes no sense,” Mr. Murrell said.